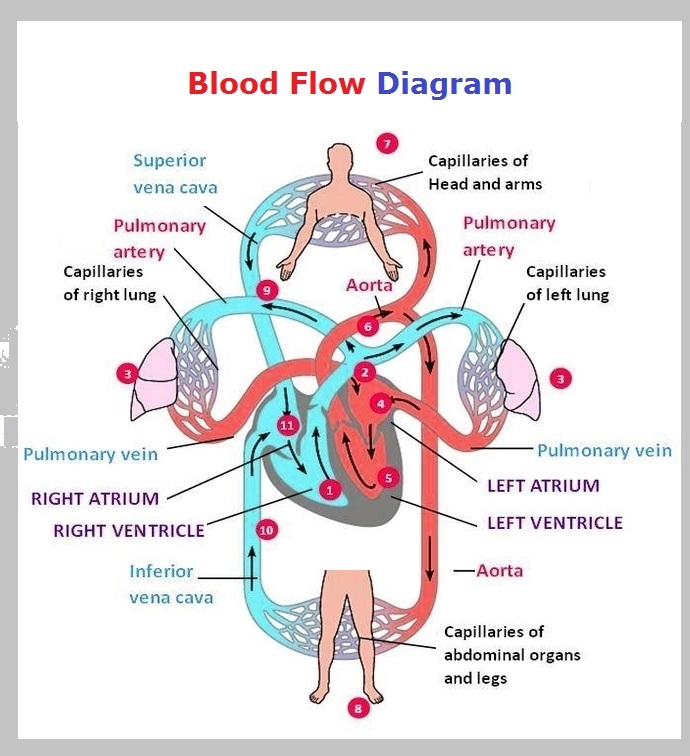 Blood Flow Diagram – Blood Flow Chart – Circulatory System Diagram – Blood Flow diagrams depict the flow of blood in the human body. The below chart displays the human circulatory system and the anatomy of the human body as it pertains to the movement of blood. The following organs are key in the circulatory system: heart, arteries, aorta, veins, lungs, capillaries of various organs.